Several CIS airlines have launched transit flights between Russia and Ukraine, taking advantage of the mutual air services ban between the two countries. In particular, Belarus’s Belavia and Moldova’s Air Moldova increased frequencies and launched new connection flights for passengers traveling to Moscow. Other carriers may follow suit. 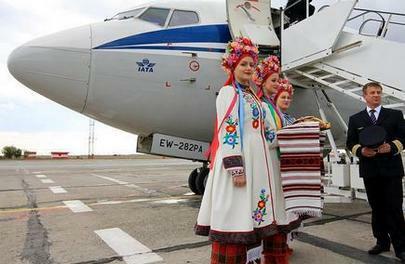 Belavia flies to Kyiv twice daily, but is considering launching a third daily flight. On October 25, it launched a new once-daily city pair, Minsk-Odessa. “This is a nice opportunity to build transit traffic via Minsk. We are offering convenient stopovers with minimum waiting times,” Gusarov says. In the meantime, Vladimir Kostin, director of the Belarusian Transport and Communications Ministry’s aviation department, has announced that the Ukrainian authorities officially proposed inaugurating a route linking Minsk and Zaporizhya. Two other possible Ukrainian destinations from Minsk are Kharkiv and Lviv. Air Moldova, in turn, announced the launch of new flights to Kyiv and Odessa the day after Ukraine closed its skies to Russian airlines. The Moldovan carrier operates daily flights to both cities with an Airbus А320 and an Embraer Е190, offering convenient connections for Ukrainian passengers traveling to Russia and Europe via Chisinau. Connection times do not exceed 1.5 h, the airline’s spokesperson stresses. Ukraine International Airlines has increased its daily frequencies to Minsk and Chisinau to provide feeder flights for transit passengers traveling to Moscow. The first such additional flight took 51 passenger to Minsk, of whom 19 continued on their journey to Moscow and St. Petersburg. Other potentially convenient transit hubs include a number of CIS airports, as well as Tallinn, Helsinki, and Istanbul. This turns Estonian Air, Turkish Airlines, and a number of other carriers into possible contenders for a share of transit passengers. However, no surge in demand has been observed so far on such connection flights, according to Tutu.ru travel search engine. Early bookings and sales of tickets to Ukraine beyond October 25 are next to zero, Russian news agency RBC reports. Latvia’s flag carrier AirBaltic, which has also increased frequencies on routes to Russia and Ukraine, confirms that it has been seeing a slight increase in demand, but says there has been no “surge”, a spokesperson comments. It could be so that the current extra passengers had planned their connection flights ahead on hearing that direct services between the two countries would stortly be discontinued, or that broader swathes of travellers remain uninformed about the existing transit options. Speaking of which, LOT Polish Airlines has recently launched an advertising campaign in Russia, encouraging Russian passengers to “travel to Ukraine safely” with it, the Russian news agency RBC reports. Air services between Russia and Ukraine were suspended from October 25, after Ukraine imposed a flight ban on Russian airlines and Russia replied in kind.